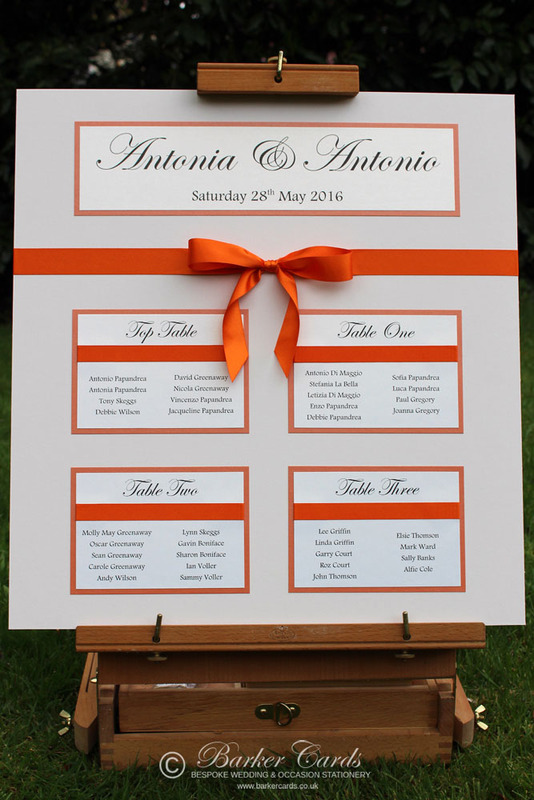 Our elegant wedding Table Plans are made to order using very high quality materials. Using a clearly laid out table plan ensures your guests will know exactly where to sit for your wedding breakfast and helps everything to run smoothly on your big day. It also provides an eye-catching feature in your wedding venue, which further ties your whole theme together. We've received very positive feedback from customers who we have made elegant wedding table plans for; remarking on our flair for creativity and capturing the essence of their chosen theme. We're able to make themed table plans - no matter how quirky your idea might be. Give us a call to discuss your ideas and let's see what we can come up with together! 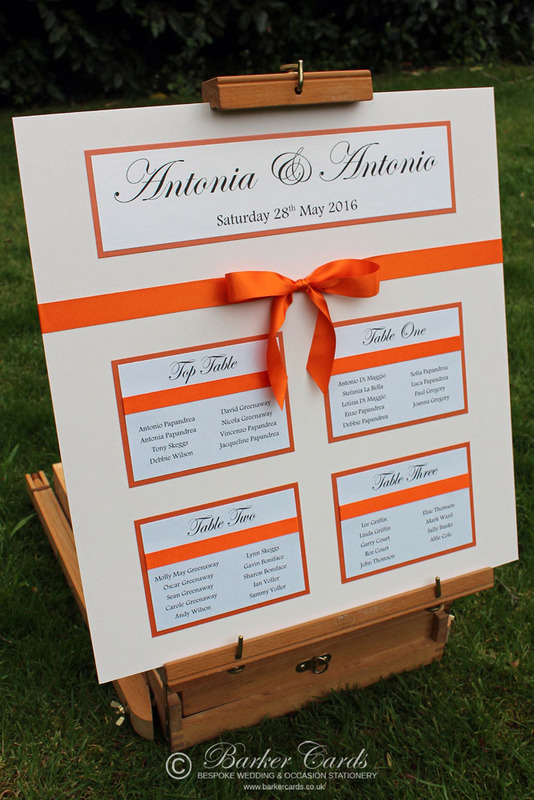 Our elegant wedding table plans are usually made to A1 size, however we are able to make smaller or larger sizes if required. We cater for both small and large weddings - we have even been known to make table plans for weddings with in excess of 350 guests. Due to the diversity of wedding table plan sizes and styles, please contact us if you would like to enquire further about our elegant table plans. This will enable us to discuss your theme and ideas and estimate the overall size required for the number of tables and provide you with a free no obligation quote. Alternatively, if you are using an ornate framed mirror, we are happy to supply the cards individually (i.e. not on the main backboard), so that you can adhere them directly to the mirror surface. Or, if you're getting married overseas or do not have the space for a large seating plan, why not get creative and let us supply hanging table cards (without the main backboard) to hang from a tree, bird cage or bunting instead. and to order using product code TP05.